It was good to read Nick Weatheritt?s ?Outsider?s View? of NVRS. My account of my years there is a good deal more subjective, more of a ?Worm?s Eye View? of the station and its evolution over time, as lived by a run-of the-mill scientist who started off at ground level. I was impatient to get a job in horticultural research at NVRS from the time when we first moved to Stratford in 1969. I had a BSc in Horticulture and had been running vegetable variety trials in Tanzania. My husband Ian was offered a job in the Plant Physiology Section under Peter Salter when we came back from our two year spell in East Africa. (Before that, Ian had been at the ARC Ditton Laboratory in Kent where he worked on storage of potatoes.) However in 1969 our children were quite young and needed time to settle down into the English school system, so I took various part-time jobs for the first three years of our life in Stratford. These jobs ranged from dressmaking for a clothing firm to abstracting for Horticultural and Weed Abstracts. It was nice to meet Ian?s colleagues and come to events like dances, barn dances and Open Days which were part of the life of the Station. In Stratford I made some good friends with Wellesbourne connections such as Judith Austin, my piano duet partner till she and Roger moved away to Cambridge. Eventually in 1973 I was called for an interview at NVRS and offered a post as an ASO with Dr David Ockendon in the Plant Breeding section. I was very glad to take the job, but I soon learned that the IPCS Union had been much annoyed by the offer, as they were dead against anyone ?over-qualified? (i.e. with a degree) being employed at this level. At the time I was grateful to have the chance to get into the routine of full-time working in a relatively undemanding role. The Union?s attitude seemed unsympathetic to women?s efforts to re-establish themselves in the working world after taking time off to raise a family. This put me off joining the Union for quite a while. Thirty-seven years later, I just noticed that various routes for re-introducing women into scientific and engineering jobs are now being advertised in the New Scientist - a marked change in attitudes thank goodness! 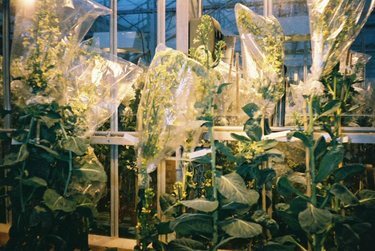 I was amazed by some of the strange-looking brassica plants which David showed me in the greenhouses. There were several weird-looking Brussels sprout plants which had been growing in pots for three or more years, throwing out more and more spindly branches, and kept going as part of David?s project to sort out the mysterious self-incompatibility system controlling fertilization in Brassica oleracea. 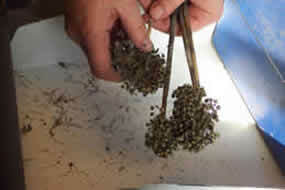 My role was to carry out the scheduled pollinations done regularly for four days every week: each pair of flowers pollinated had a label to record the particular cross made, and was harvested a day later and cooked up with caustic soda then stained to reveal whether pollen tubes had grown down the styles or not. A fluorescence microscope was used to examine each style and to score it as compatible or incompatible. Self-pollination of flowers at an immature stage was used to create lines pure for individual self-incompatibility genes, and the list of those found increased year by year as more lines were added to the collection. However, intense contact with the highly allergenic pollen soon started to affect me. Within two years I had become sensitized to Brassica pollen and got classical hay fever symptoms, and so could no longer work so intensively with the material. Then I had a lucky break, as Phil Gates, who had started to work with David on onion breeding problems, left to pursue a PhD and I was able to take over some of his work as a Scientific Officer. In 1975 I started to study the course of flowering in onion umbels, later moving on to look at the efficiency of pollination by different types of insects. Ann Draycott helped me a lot by explaining how to design forms for recording insect visits which would be ?Fortran-friendly?, and many summer students helped with the observational work on bees versus flies as pollinators at a range of temperatures. I eventually achieved a PhD from the University of London in 1986, based on my published onion papers from NVRS. David?s group also worked on other problems such as making inter-specific crosses to develop onion and bean disease resistance, and on anther culture which eventually produced doubled haploid lines in Brassicas. 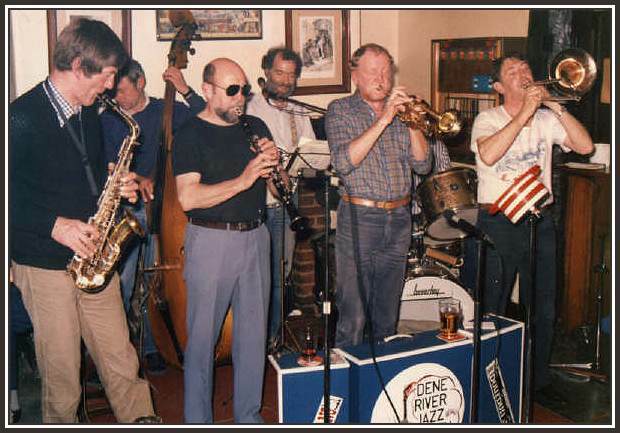 including evenings with the Dene River Jazz Band. David?s meticulous and systematic approach to his work was an excellent example to follow. In the more relaxed climate of the 1970s I was able to start developing some research ideas of my own and to write up the results for publication. I even took one or two trips abroad to meet European scientists with similar interests ? I funded these myself because knew there would be no travel money for anyone at my level. 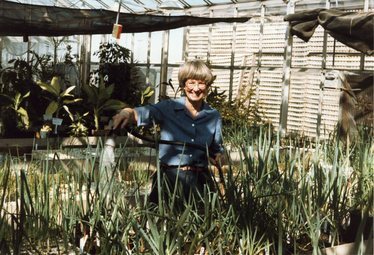 I also started to prepare reviews of topics for which I had made systematic literature surveys, including onion seed production, leek breeding and onion pollination biology. And I had financial help from the Station for evening language classes at which I studied French to Diploma standard. Meanwhile Ian, after getting his PhD in 1975, decided in 1978 that he would prefer to continue his career away from Wellesbourne. By the mid 1980s he was a full time lecturer in computer studies at Stratford College of FE. From the early 1980s onwards there was a distinct feeling that the good times were ending and that the ?job for life? concept was disappearing at NVRS. For me an abrupt symptom of this cooler climate was when without warning, the team of hard-working ?weeding ladies? on whom we had relied on to keep our plots clean and neat, were all brusquely fired. The rest of the staff were given no chance to organize any leaving presents to thank them for their years of toil. This callous action was soon to be followed by drastic thinning out among the scientific staff. In 1985 I was given the statutory 6 months? notice of ?redundancy? ? not entirely unexpected, and with Lindsay?s support I had already started to plan my PhD so as to position myself for finding another job. In theory, ?redundancy? meant one?s job was supposed to have disappeared ? but we soon observed that these firings were a pretext for clearing out a whole cohort of mid-grade people who had become rather too expensive, before replacing them with temporary or less expensive alternatives. The jobs might not really be going, but we certainly were. In Plant Breeding alone, Jim Jackson, John Horobin and I were dismissed. As up till then we were still being encouraged to take training, improve our skills etc., this was pretty annoying. While feeling quite angry, I heard about the offer of a job at Texas Tech University as a post-doc, which arrived at a very timely moment. I was just about to complete my PhD and replied that I would like to take the post myself. 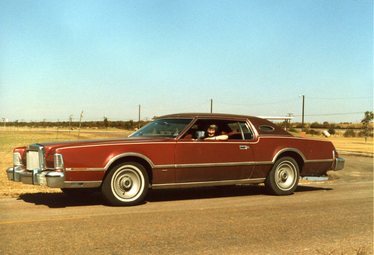 So in March 1986 I shook off the dust of Wellesbourne and left for the brilliant sunlight of Texas, clutching my leaving present of a large suitcase and matching holdall, with enough basics to start a new life in Lubbock. Texas was another world, impossible to sum up in a couple of lines. As well as being great for research and far less sexist and ageist than the UK, it provided invaluable seed trade contacts which were to help me a lot in the future. My US boss Ellen Peffley is known to many here as she came over to study in Plant Breeding in 1997.
returned to the UK, on the rather vague promise of a job from the Natural Resources Institute (NRI), which was then a scientific unit of the Overseas Development Administration (ODA). The job took a further year to organize, so in 1987-88 I learned how to use a computer and honed my Spanish skills up to GCSE level, following the lessons I had taken in Texas. Eventually an acceptable job offer came through and I began a new phase of my career, a somewhat dislocated one in which my NRI bosses were based in London (later in Chatham), and I was very much on my own at IHR, as it had then become. The job no longer included lab and field research but was much more concerned with collecting and disseminating information for international development. I was employed as a Research Fellow on temporary contracts funded by the ODA over the period 1988 to 1995, and during that time had four different supervisors at NRI while nominally being part of the Plant Breeding section of IHR. I had to move my Wellesbourne office six times during this period, starting in the Gene Bank and ending up in the new Molecular Biology block, via several temporary offices and portakabins. Of course, each move meant losing track of all the current paperwork ? this just added to the stress of the job when it later developed to include frequent overseas travel interspersed with bouts of frantic editing and report writing. My project was entitled ?Evaluation of onion production and storage in low latitudes? and my first task was to update a postal survey started by NRI. I enlarged its scope and got much better coverage by sending out the questionnaire in French, Spanish and Portuguese to appropriate countries, so our eventual Bulletin, ?Onions in Tropical Regions? (Currah and Proctor 1990) had a section based on the answers we received from 72 different respondents. This provided a snapshot of what onions were being grown where, their keeping life in storage, and some good clues as to who might be useful collaborators in the future. The bulletin included reviews on various aspects of the topic and a section on the outstanding problems still to be solved. We were proud to have produced the first major work on this subject. After the bulletin, I started to put together a series of annual ?Onion Newsletters for the Tropics?, with contributions from researchers all over the tropical world, which I edited from 1989 to 1995. I also began to travel to tropical countries to see at first hand the problems faced by researchers, growers and merchants of onions. And I also started a scheme for the distribution of onion seed of modern commercial varieties to keen researchers in tropical countries, sent on the understanding that they would provide information from their trials in return. We had no finance for this, so the scheme which developed worked purely on the basis of trades between the seed companies, NRI and the researchers: basically we were trading seeds in return for information. 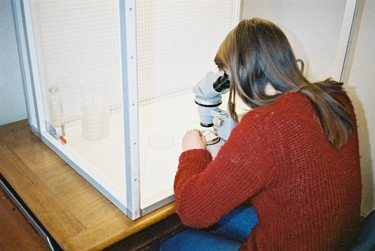 The staff of the Gene Bank at IHR were tremendously helpful with this long-term programme They provided space for seed storage, packed and dispatched parcels, ran germination tests and generally gave me a lot of support over the next ten years. I am profoundly grateful to Dave Astley and Angela Pinnegar for the work they put into the scheme. Even after I officially ?retired? they continued to provide support and help so that we could collect information right up to 2000 and beyond. I don?t like the idea of ?retirement by age? 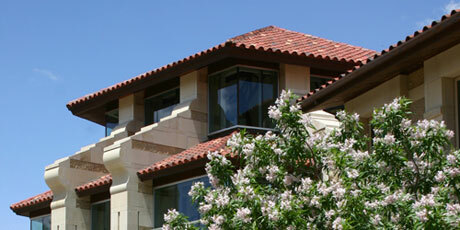 and have continued working for much of the past 15 years from my office at home. In recent years it has been satisfying to see how African scientists with whom I?m still in touch are tackling their countries? onion problems by thorough experimentation. Results of the International Onion Trials were published as a volume of summaries in 1997 with the help of NRI, and I prepared a second volume in 2004 from my consultancy office. Yield data were presented uniformly as kg per square metre and each trial had a table of weather data for the growing season or storage period. Later I continued to use the HRI library, by courtesy of the always helpful librarians, when involved in editing our 2002 book, ?Allium Crop Science: Recent Advances? (eds Rabinowitch and Currah). I am very grateful for all the assistance which I received then and later. So what was going on at IHR/HRI in the 1990s and 2000s? There were amalgamations, structural management shake-ups, further redundancies, and a big move towards molecular biology and a need for containment facilities, involving huge building developments. I was relatively shielded from the management changes but sympathised with the staff members who were living through its worst effects, including those uprooted from GCRI and sent here to live in the less appealing environment of the Midlands. It seemed to me that more and more of the work was being done by graduate students under the care of diminishing numbers of over-worked supervisors. Since I left in 1995 I missed the further upsets caused by the Warwick University take-over. The empty labs and offices of today tell their own tale. So looking back, did I have a satisfying career by working at Wellesbourne? In spite of the difficulties, I feel I did ? or at least half a career anyway. I did not even start work at NVRS until I was 35, so I had no prospect of catching up with my contemporaries in promotion terms. But I was able to concentrate on the scientific work which interested me and shun anything to do with administration. I would have been content to reach the status of research leader in an area where I had developed some expertise. In a sense, this was what happened during my ?second career? at Wellesbourne, when working for NRI. I developed my knowledge of a relatively little-known area of horticultural science, and became well-informed on the problems of tropical onions. This gave me the basis for years of further work as a consultant and editor. 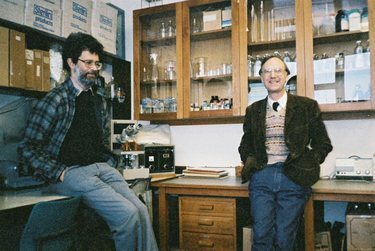 I am glad that I started my career in the days when some great characters inhabited Plant Breeding: Guy Johnson, Brian Dowker and George Faulkner to name a few. Later I made other good friends at IHR/HRI such as Rosemary McLenaghan, Frances Betts and Edna Kunjeku (now teaching in South Africa.) 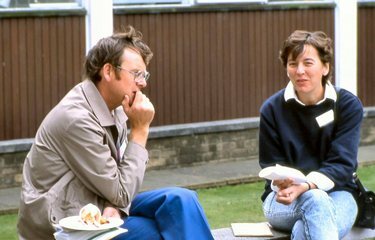 The 1990s brought the development of the local branch of the Association for Women in Science and Engineering, pioneered by Joan Mason of Cambridge University and developed here by Rosemary Cole, Kath Phelps and Janet Corlett among others. This gave us a focus for expressing our feelings about the ways in which women were being treated as scientists ? we also met visiting speakers, learned what they were doing to improve their situation and heard some inspiring stories. AWiSE seems to have served its purpose but we still remain friends. I?m also involved with keeping old contacts going through the Compost Club, and more recently through Richard?s Google Group which is collecting a scrap book of our collective past. Like Nick Weatheritt, I wish the future looked brighter for HRI. I?m grateful that I was there during some of the good times and enjoyed them to the full.